LankaWeb – What are Fibroids? Fibroids are muscular tumors that grow in the wall of the uterus or in the commonly “the womb”. Fibroids are almost (not cancerous). 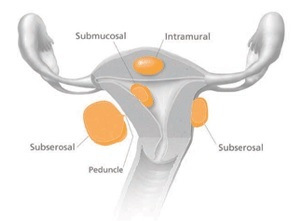 Fibroids can grow as a single tumor, or there can be many of them in the uterus. They can be as small as an apple seed or as big as a grapefruit. In unusual cases they can become extra large. Fibroids become more common as women age; especially during the 30s and 40s through menopause. After menopause, fibroids usually shrink. Eating a lot of red meat including tuna is linked with a higher risk of fibroids. Eating plenty of the herbs parsley and mint can protect women from developing fibroids. Several drugs commonly used for birth control can be prescribed to help control symptoms of fibroids. For example (Depo-Provera®), this can be used to control heavy bleeding, as well as for birth control. Other drugs used to treat fibroids are “gonadotropin releasing hormone agonists” (GnRHa). The one most commonly used is Lupron®, to shrink fibroids. Sometimes they are used before surgery to make fibroids easier to remove. Why have you omitted the MAIN REASON for fibroids? That is women having fewer children than before…. Of course since we have finite resources having more children is not advisable, but women can have children early without delaying unnecessarily after getting married. Again it is true that there are a lot of valid reasons to delay having children but life isn’t something you can plan perfectly. Another thing to point out……. Why not mention the GENERIC NAMES of the two drugs instead of their brand names????? The intention of your articles are highly questionable!! This entry was posted on Wednesday, August 28th, 2013. You can follow any responses to this entry through the RSS 2.0 feed. You can skip to the end and leave a response.